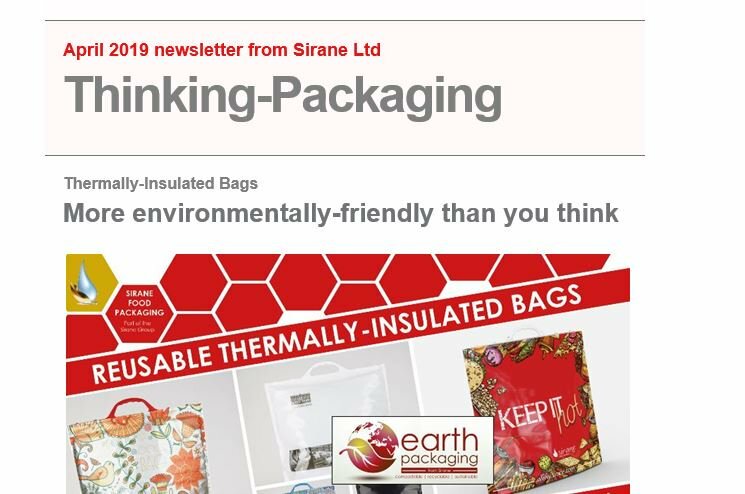 NYLON – one of the packaging world’s most versatile products – will be one of the major focuses for Sirane when the company exhibits at Packaging Innovations 2015. Siralon - Sirane’s impressive range of nylon materials and one of the products which will be showcased at Packaging Innovations 2015 - is an incredibly versatile range. Nylon’s potential uses range from food packaging to medical, industrial to industrial food manufacturing. From airline bread bags to solvent distillation bags, from slow-cooker liners to bitumen bags, if you’ve got a packaging question, then it is very possible that nylon is the answer. “So why choose nylon?” said Simon Balderson, Sirane MD. “Nylon comes in many different blends & thicknesses so whatever your need, there’s probably a solution to be found. It is a very tough, durable material - while at the same time being a pleasant material to handle. There is an extensive range of food-approved colours for the films. “Nylon has very high temperature resistance - much higher than many other comparative materials on the market - which means it can be used for high-temperature oven-roasting, sterilisation etc. However, unlike many materials, it can also be filled hot. “This means nylon can be used in industrial food applications, where hot-fill is required, and also in industries such as road building for transporting products such as bitumen. “Industrial spice processors, for example, use nylon for roasting spices & herbs. Nylon is perfect for this type of application, as it is such a clean material, has high heat resistance, and the high barrier means no flavours are lost – everything stays within the bag. “In industrial food processing - as well as other industries - the fact that nylon can be used in hot-fill is a real benefit. Industrial vats can be lined with Siralon and the product does not need to be cooled - saving production time as well as cleaning time. “Food can also be bagged in nylon for steam-sterilisation, tomatoes for example, which help reduce clean up time, and the amount of water used in the process. Nylon hot-shortening bags can be used for the disposal of hot cooking oil - they can be filled hot and they reduce the need to use expensive drums, as well waiting time as the oil doesn’t need to cool. The popular Packaging Innovations 2015 show runs from February 25-26 and is the UK’s largest packaging show, with a focus on developments across the supply chain. Jeremy Haydn-Davies, sales director, said: “Packaging Innovations is always a very busy show, and is the perfect place for us to show-off some of our latest developments. Sirane’s new Dri-fresh Soft-Hold pad, which combines the cushioning and protective properties of bubble films with effective absorbency, high permeability and excellent product presentation, is a second product that will be on show at Packaging Innovations. “Soft fruit is often transported huge distances globally,” said Gillian Carter, “and so protecting the fruit is vital. The more fruit that arrives at its destination in perfect condition, the better it is for everyone involved in the supply chain, as far less fruit gets wasted. “Sirane can offer the ultimate protection, cushioned protection alongside absorbency – we can even integrate ethylene absorbency and anti-fungal options if required. A number of visitors to the stand loved the product, and could see the difference it could make. Sirane’s stand at Packaging Innovations at the NEC, which is February 25-26, is F20.